As a Long Island property owner, you have an obligation to keep your home in the best condition possible at all times. One of the most important responsibilities in this regard is proper roof maintenance. If you fail to routinely care for your roofing system, the rest of your property will become susceptible to extensive damage. The easiest way to stay on top of getting the service your roof needs, when it needs it, is to invest in routine roof inspections in Long Island. At Magnum Contracting Group, our Long Island roofing contractors are here to help you in this regard. Through our routine roof inspection services, we will be able to identify minor roof leaks before they become major problems. We can repair the issue on the spot. Afterwards, your roof system will provide you, your family, and your property with the protection that you deserve. Call Magnum Contracting Group today if you need to conduct a roof inspection in Long Island. Our professional roofers will specifically look at all of the following problem areas for you. Together, we can keep your roofing system well maintained. 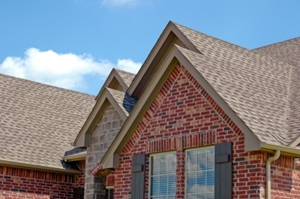 Your shingles are the most important portions of your roofing system. If they are missing, damaged, worn, curling, or discolored, the wood beneath can be susceptible to water damage and rotting. Because shingle degradation occurs so gradually, it can often be difficult to identify the problem before it is exacerbated. In order for your roof to perform properly, your gutters must be kept in the best working order. If your gutters fail to channel water off of the surface of your roof, the entirety of your property can be harmed. Our roof inspectors will inspect your gutters to determine is there are any major issues. The most common source of a roof leak is in areas of faulty and eroded flashing. The purpose of flashing is to seal punctures in your roofing surface, specifically around pipes, vents, and chimneys. Improper installation or extended exposure can cause the flashing to fail, leading to costly and frustrating roof leaks. The wood beneath the overhang of your roof can be damaged by rodents and other small animals. If theses areas are compromised, you may be suffering from an even worse problem than a regular roof leak. Our Long Island roofing contractors can ensure that your soffit is well maintained during our roof inspection services. The frontboard around the edge of your roof can be damaged by moisture and ice dams. If your fascia is harmed, everything within the area can begin to fail. In turn, your entire roofing surface will be threatened. If you need a roofer for a roof inspection in Long Island, then please call 516-277-2300 or complete our online request form.